There were two collections named Ribbons, one in 1984-1985 and another in 1988-1993. Elizabeth Harris for the later collection. 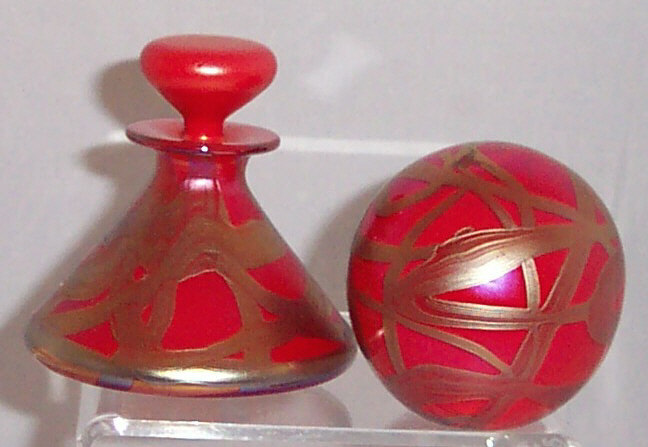 Ribbons was also made in orange and black for the Japanese market (early 1990s) and in red for the German market (about 1988). This may be a trial piece for the later Ribbons collection. Bell vase 11.8 cm high and 10.5 cm in diameter. Images courtesy of Mike Collinson. 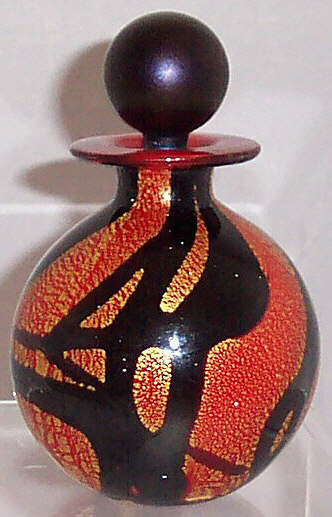 Black spherical perfume bottle, 7.5 cm high, 6.5 cm diameter. Made 1988-1993. 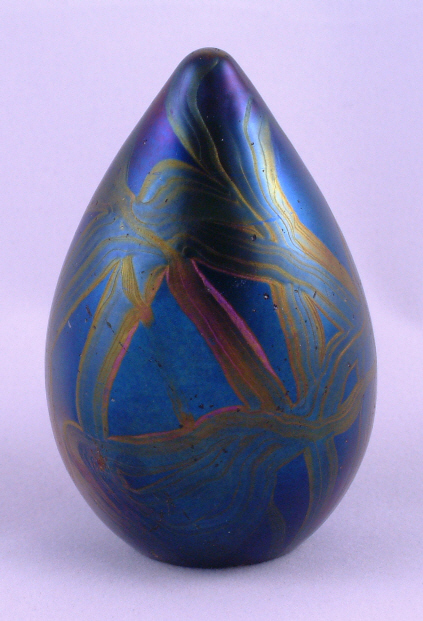 Black egg-shaped paperweight, 7 cm high, 4.5 cm diameter. Made 1988-1993. Notice that the 'black' is actually a deep cobalt blue. 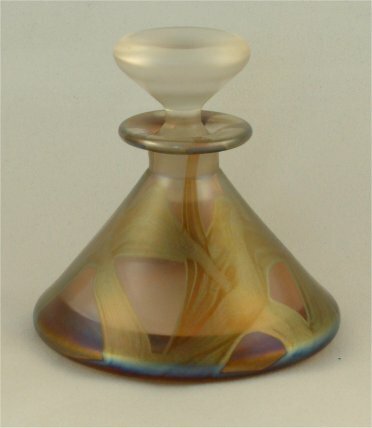 White conical perfume bottle, 7 cm high. Made 1988-1991. 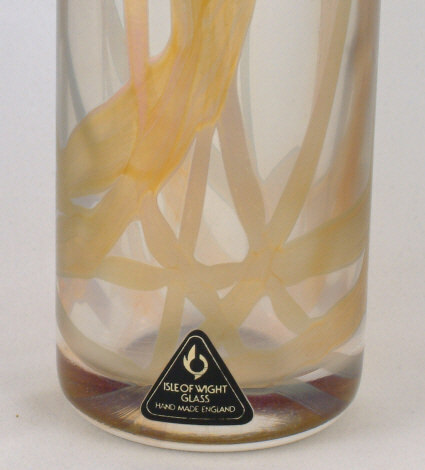 A similar white conical perfume bottle but 9 cm high was produced in 1988 and 1989 only. 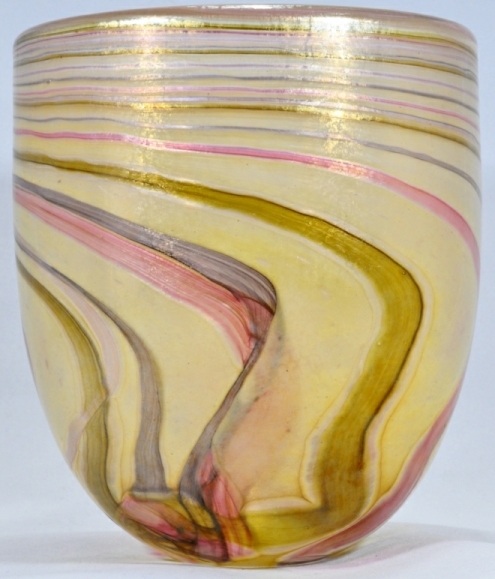 Cylinder vase, 24.5 cm high. 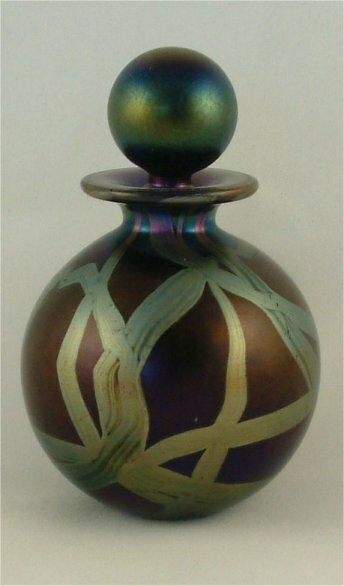 A cylinder vase 13.5 cm high was also made. Close-up of base of 24.5 cm high cylinder vase. 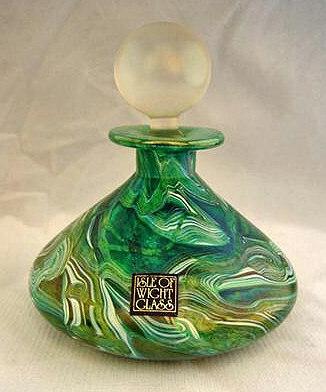 Globe perfume bottle made mainly for the Japanese market. 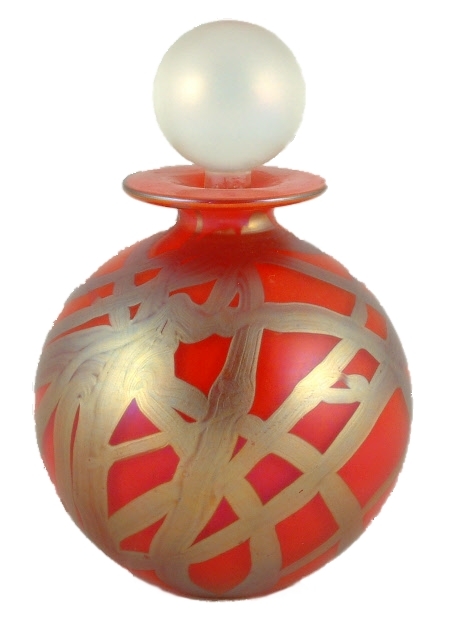 Globe perfume bottle, 12 cm high. 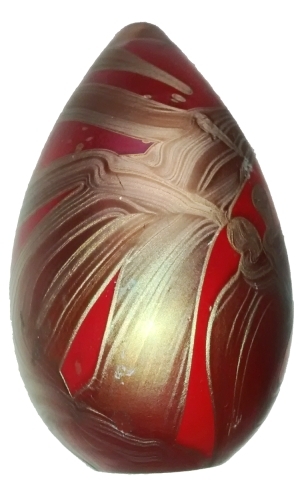 Egg paperweight, 7.5 cm high.